If you noticed a problem with your Porsche’s air conditioning over the summer now is the time to get it sorted, as we’re offering 10% off the following AC repairs this October. One of the most common reasons your Porsche’s aircon might lose its power is low gas. If you think your AC isn’t working at its full potential, it might need topping up. We’re offering 10% off an aircon regas at our Brighouse and Birstall workshops any time from now until 31st October 2017. 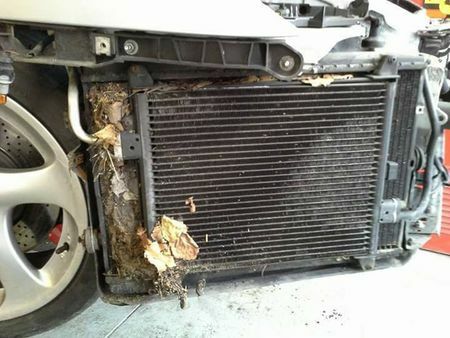 In a number of Porsche models, the air conditioning condensers are located close to the front air intakes, meaning they can easily get covered in leaves and dirt. This combination can cause corrosion, and once this happens, your car’s condenser can’t be repaired and it’ll need to be replaced. If your AC condenser has corroded, we’re offering 10% off condenser replacements, again, at both our Brighouse and Birstall workshops up until 31st October 2017. Call Revolution Porsche on 01484 717342 or contact us via the website, to book your car in. Just make sure you mention the offer to claim the discount.